There’s a debate in Montpelier over the proposed soda tax. A report on obesity released in November by the Attorney General’s office called for the tax on sugar sweetened beverages or SSBs as a way to discourage their consumption. But opponents argue that the plan allows the state to dictate what we can and can’t drink. We listen to Nicole Lucas of the American Heart Association and Jim Harrison, president of the Vermont Grocers Association, as they present opposing sides of this issue. And we hear analysis on Vermont’s energy issues, including Vermont Yankee, from VPR’s John Dillon. 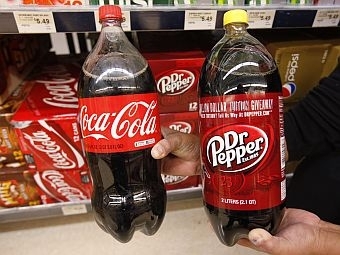 The House Health Care committee is taking a serious look at a plan to impose a tax on sugar sweetened beverages but opponents of the tax are launching a consumer campaign against the legislation. The Shumlin Administration will oppose a tax on soda and other sugar sweetened beverages during the 2012 Legislative session. Health commissioner Dr. Harry Chen says he’d support a federal tax on those products, but Chen says it would be a mistake for Vermont to go it alone on the issue.